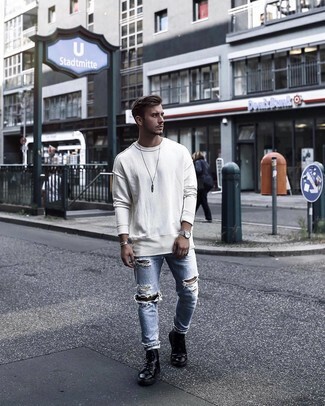 If you're all about relaxed dressing when it comes to your personal style, you'll love this simple combo of a white sweatshirt and light blue ripped jeans. Marsèll lace up ankle boots will instantly smarten up even the laziest of looks. 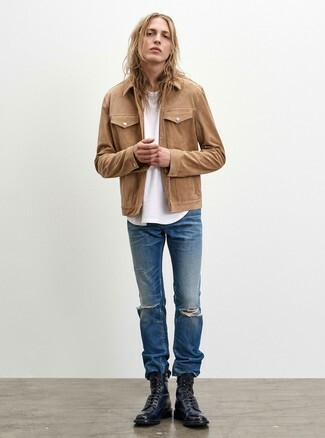 If you're scouting for a casual yet stylish outfit, pair a tan shirt jacket with blue ripped jeans. Both pieces are totally comfortable and will look great paired together. Got bored with this getup? Enter Marsèll lace up ankle boots to switch things up. 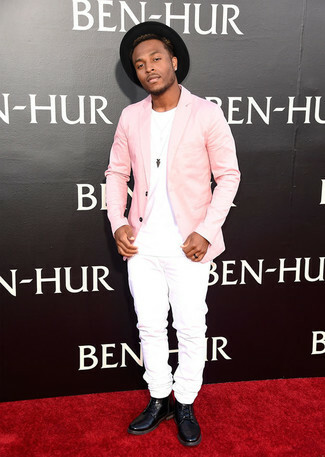 For a smart casual getup, opt for a pink blazer and white jeans — these two pieces fit pretty good together. 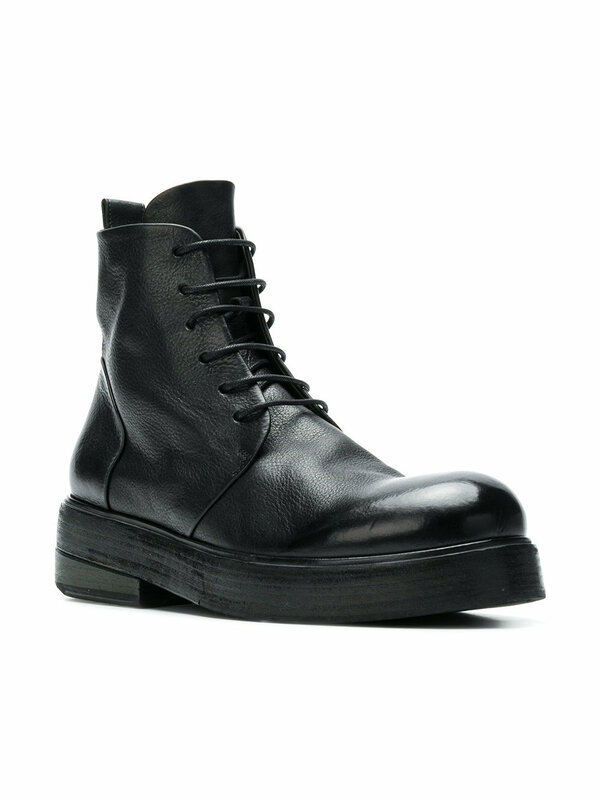 When it comes to shoes, this ensemble is round off wonderfully with black leather casual boots. If you're on the lookout for a casual yet stylish getup, wear a grey wool blazer with grey sweatpants. Both items are totally comfortable and will look great paired together. Amp up the cool of your ensemble by rounding it off with Marsèll lace up ankle boots. 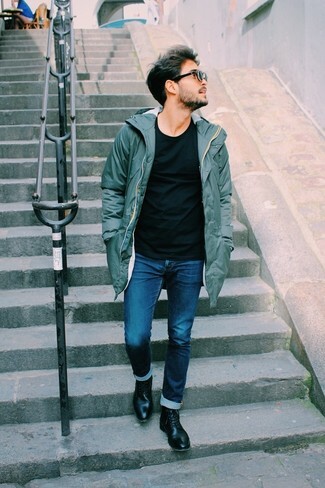 Make an olive parka and navy jeans your outfit choice, if you want to dress for comfort without looking like a hobo. 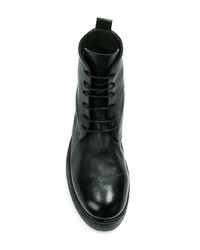 Bring instant interest and excitement to your getup with Marsèll lace up ankle boots from farfetch.com. 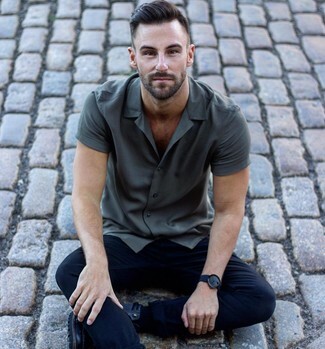 This combination of a charcoal short sleeve shirt and black skinny jeans delivers comfort and efficiency and helps you keep it clean yet contemporary. 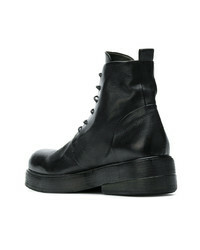 Balance this getup with a sleeker kind of footwear, such as this pair of black leather casual boots. This pairing of a black pea coat and dark green camouflage chinos is very easy to make up in seconds time, helping you look stylish and ready for anything without spending too much time rummaging through your collection. Marsèll lace up ankle boots are a wonderful choice to complement the look. This pairing of a brown herringbone overcoat and black chinos is very easy to pull together in no time, helping you look amazing and ready for anything without spending too much time going through your wardrobe. Finish off this ensemble with black leather casual boots. 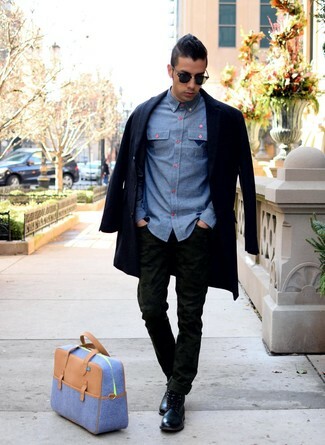 If you're searching for a casual yet stylish getup, marry a navy bomber jacket with navy jeans. Both pieces are totally comfortable and will look great paired together. Feeling inventive? Complement your look with black leather casual boots.